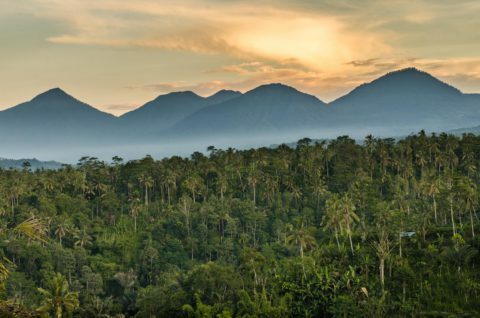 ﻿ Hillside Eden Bali - Private Jungle Estate - Stunning Service & Views! Every guest can feel it. The magic of this estate. The feeling when you wake up with these amazing views. It’s indescribable. Like a spell, far from the daily routine. The history of this estate is founded in a desire for harmony with the environment. From the earliest design our property aimed to reflect and protect its environment and to preserve local traditions and indigenous style. We are looking forward to welcome you and make your stay as magical as can be. Welcome home. 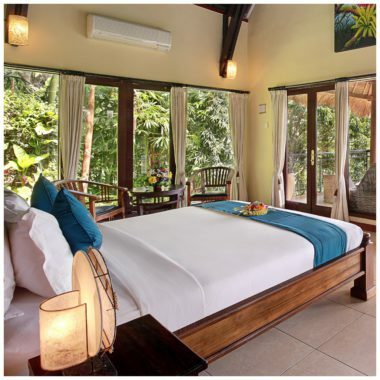 The villa & cottages have a total of 7 bedrooms with double beds and en-suite bathrooms. We can place 4 extra mattresses in the villa and can accommodate a maximum of 18 adults comfortably. 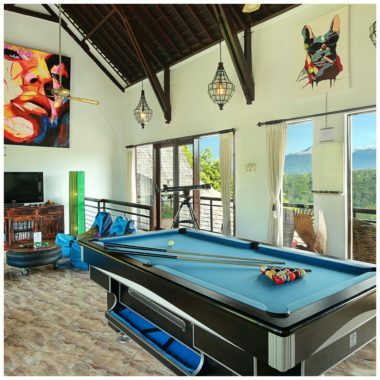 There is an advanced game room with Playstation and pooltable and a living room with a fully equipped kitchen. 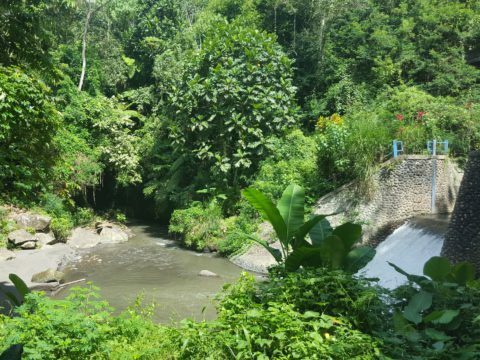 In front of the cottages you can enjoy the play court and for the adventurous there is a hidden waterfall down the valley. Customized Build Pool Table, Playstation, Telescope, Instruments and more…. Relax and indulge yourself with several SPA treatments while enjoying the incredible views. Be a king for a day with the unlimited high service level of our staff. Jump on your floating beanbag in the heated pool, lounge on the pool deck, have a massage on your balcony and treat yourself with fresh juices, cocktails and delicious bites. The’re is a well-equipped game room with Playstation, pool table, board games and a DVD library with a home theatre system. Play badminton on the play court, try out the Shisha with imported tastes from the Middle East. Grab an instrument or use the available painting supplies. We are on a close distance of many iconic places in Bali. You can also go white water rafting, downhill cycling, sunrise mount trekking and a lot more. We welcome and serve you with a smile at this 6000 m2 private estate. 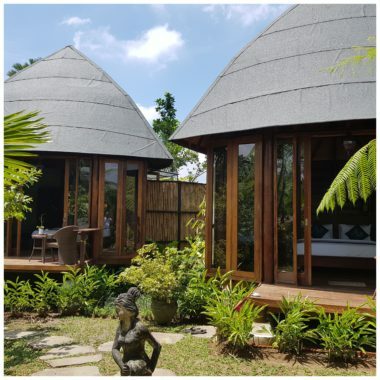 With 6 people Hillside Eden is fully staffed and for your comfort, butler buttons are placed on several places in and around the villa. We serve full range of drinks and delicious Asian and Western food. We offer customized tours, activities and unique in-house experiences. And your included breakfast is served when you wake up, overlooking a lush green jungle as far as the eye can see. The views over the valley, rice paddies and mountains are unbeatable. This is Bali as it was 20 years ago, with all the comfort. Down the valley you’ll find your own private waterfall and during the day you’ll see many butterflies in the beautiful tropical garden. 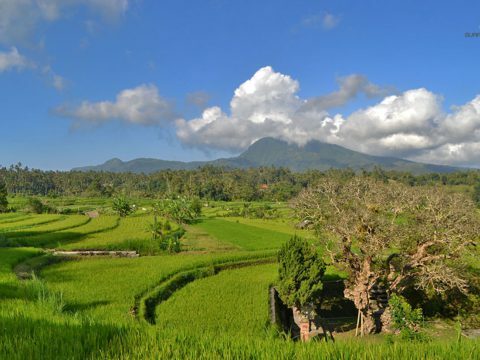 We assist in creating customized tours and activities to the most beautiful places in Bali. 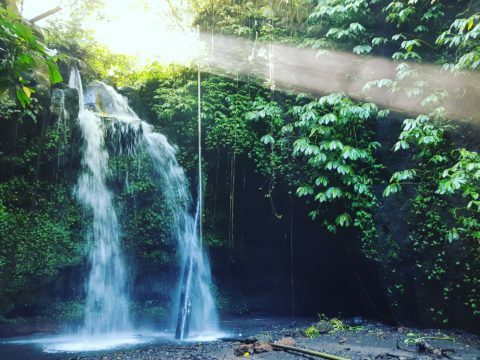 Enjoy a refreshing morning shower at the hidden waterfall down the valley, all for yourself. Village rice fields as far as you can see with ocean views and a coffee break in a traditional village. Enjoy historical places and jungle beauty and have a private swim in nature at the village dam. . This is absolutely THE GREATEST VILLA EVER! It's more than what I've expected. Really enjoy the nature and every part that the villa provide. The hospitality is 100% professional! I'm really speechless, no words. It is the heaven of the earth. The place was stunning and the service was amazing. I'm sure 100% that I'm gonna come back again to this villa. As we were leaving my daughter (age 7) said, “Mommy, I am going to miss this place so much!”. I can’t say enough, the Villa is amazing, and the staff are extraordinary. We would book another trip to Bali just to go back to this Villa. Wow. Hillside Eden is truly an unforgettable place. The entire crew at Hillside makes you feel welcome from the minute you check in to the minute you leave. It is our home away from home and our Indonesian family abroad. Great for groups or even if it's just two of you like it was for my wife and I. If I come back to Bali, this is where I'm staying once again! It was a dream to wake up and see the jungle out the window. The location and view made this villa great, but the staff made our stay amazing. 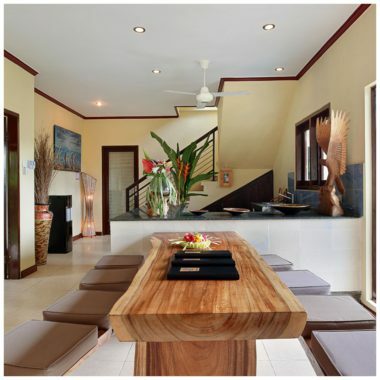 If you want to stay in Ubud and have a real jungle experience, book this villa. You won't regret it.